Compuage Infocom, a value added distributor and Microsoft organised joint partner programs for the launch of Microsoft Cloud Solution Provider. 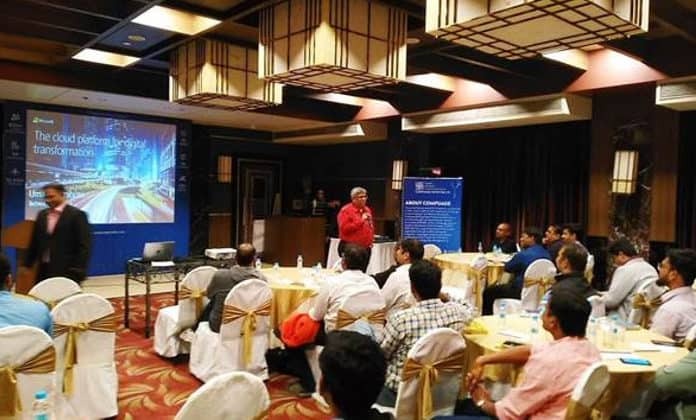 Events were conducted in Mumbai, Pune, Delhi and Lucknow recently. Along with unveiling, these events imparted knowledge on Microsoft Cloud Solution Provider’s usage and offerings. Speakers from Compuage and Microsoft demonstrated how partners can benefit with the cutting-edge technology of cloud empowering the channel partners. Senior members from Microsoft as well as Compuage together made the events engaging and solved one-on-one queries of the partners. Over 200 unique partners attended the meets making it successful. Compuage and Microsoft together plan to organise similar meets in Hyderabad, Ahmedabad, Indore and Raipur. Compuage and Microsoft organises multi-city events for the launch of CSP 0 out of 5 based on 0 ratings. 0 user reviews.